Considering a kitchen remodel in Phoenix? You are not alone. A kitchen makeover is one of the most popular home renovation projects. It can also be one of the smartest investments, especially for those who are considering trying to sell the property in the near future, because kitchens are a major priority for home buyers. A new, impressive kitchen can help your home catch the eye of potential buyers, and can also increase the property value of the home. While there are some small kitchen remodeling tasks that are easily handled by a do-it-yourselfer, a major kitchen overhaul is a job that is usually best left to a professional. So you will probably want to enlist the help of qualified Phoenix kitchen remodelers. To save everyone some time and hassle, there are a few things you can do early in the process to get things started on the right foot and help ensure everything goes smoothly. Figure out your budget. We realize this isn’t as much fun as some of the other aspects of planning your project. In fact, for most people this is the least enjoyable part of the process. However, it is an important step—and should likely be your first step. That’s because your budget will determine your possibilities and limitations regarding the scope of the project, and will also guide many of the decisions along the way. It’s important to be realistic about your budget so that you don’t set yourself up for disappointment later or have to make difficult adjustments after the job has already started. Gather up examples that represent your style. You want to make sure your contractor will be able to envision the picture you have in your mind. Rather than just describing particular items, it can be helpful if you can share pictures that add a visual to the descriptions. This is especially true if this is your first time working with the contractor, so they are not yet familiar with your style and tastes. The internet offers a wealth of sources where you can find images of just about everything you might want to include in the design for your new space. Pinterest is a great resource for this purpose. Think about how you will use the space. The look of your space is a big focus, but practical issues are equally important. The best kitchen plans will find a way to perfectly merge form and function. You want to think about how your family currently uses the kitchen, and identify things that don’t work well or ways in which the existing space is lacking. Making a list of your pain points and the things you dislike about your kitchen in its current state will help you and your contractor identify the top priorities in planning the design for the new space. Choose the right contractor. Before you can start working with a contractor to make your plan a reality, you need to first select the contractor that you plan to call. This is a critical decision, as picking the right contractor will impact all aspects of your project and how the finished job turns out. Don’t rush this step. Take your time and spend as long as it takes to do your research. Ask around for recommendations from friends and neighbors. You want to be sure you go with a contractor that you can trust with your property and your money, one that has established a good reputation as being trustworthy and reliable. 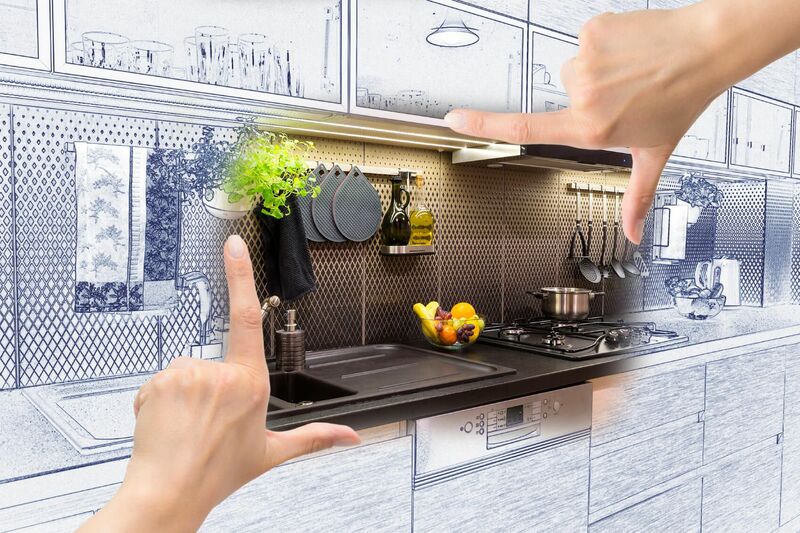 Once you are ready to start planning your kitchen remodeling project, contact RW Remodeling. We are among the best kitchen remodelers in Phoenix.